It is possible to use together with the front axle slider. It produces a feeling of luxury and presence by a texture similar to titanium. If it is installed, the visible part is only a few, but it will make full use of the original motorcycle performance. Chromoly is slightly heavier than a genuine iron shaft, but AELLA products are packed up to a difference of about 25 g due to their own meat punching shape. It is required further rigidity because of the important and harsh part supporting the front fork and the front wheel. It can make the front suspension work directly by making this part firm. For example, if you change the lane, the vehicle body will respond quickly and you will feel the switch back lightly. It can feel the movement of the vehicle body more sensitively because chromoly produce vibration damping effect. It will cause shake and vibration of the vehicle body due to deflection and distortion of the shaft, so if you replace it with a little more chromoly it will be effective. 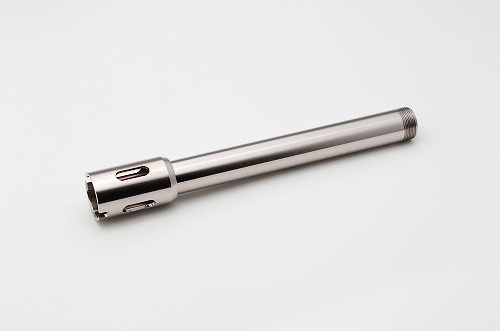 It is possible to further upgrade when using it together with the optional titanium nut (AT-DU012). * Able to use it along with AELLA Front Axle Slider.